Lantek’s global agreement with Air Liquid Welding will lead to the marketing of the Lantek Expert sheet metal CADCAM software in conjunction with Air Liquide Welding’s plasma cutting and oxy-cutting machines. Lantek, leader in the development and marketing of CAD/CAM/MES/ERP software solutions for the sheet metal industry, announces a global strategic partnership with Air Liquide Welding through the company’s distribution channels which cover 90 countries around the world. “The partnership fits well with both companies stated objectives of building long term technical partnerships and win-win strategic alliances. Lantek has an extensive distribution network covering customers in over 100 countries and additionally has its own offices in 15 countries, so this maps well with Air Liquide Welding’s distribution network, and will enable us to deliver the best sales and training solutions together, irrespective of the location of the customer. The importance of this agreement also lies in its global reach, thanks to the influence and prestige that our partner has around the world,” says Francisco Perez, Director of OEM Channel at Lantek. Air Liquide Welding provides a wide range of automatic machine oxy cutting and plasma including mainly OPTITOME 2, ALPHATOME 2, OXYTOME and PLASMATOME. All of them are manage by the high level CNC control HPC DIGITAL PROCESS able to drive automatically the cutting system process OXYHPi, NERTAJET HPi or the bevelling plasma unit NERTAJET BEVEL HPi. The latest innovations in plasma cutting implemented on NERTAJET HPi allow the increase the cut quality and productivity while maximizing the lifetime of consumables. Since its formation in 1986, Lantek Expert has been the flagship product for Lantek and is used by over 16,000 customers globally. The continuous development of the software has enabled Lantek Expert to maintain its market leading position. In 2015 alone, new features include highly accurate time calculation algorithms and enhancements to ease of use and CAD interoperability. 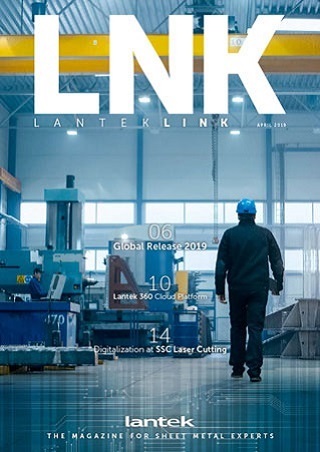 By building a long term relationship both Air Liquide Welding and Lantek will be able to build mutually profitable business at an international level, based on service and performance for customers.